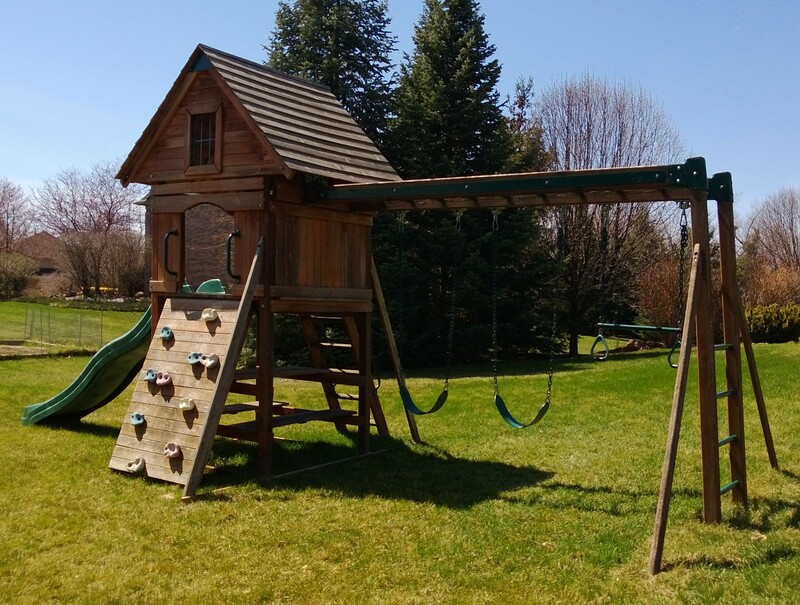 After considering our options, concerns, and readers/friends' advice, we chose to put the play set on the side of our house further from the road to leave that more level area for other uses such as party tents in the future. This relatively private corner has been the retreat I hoped it would be. It feels like our yard got bigger now that we are utilizing that area as well. To set the structure up on level ground without digging up the whole area, Mike dug a trench at one end and built the set into the incline. It looks great, is structurally sound (he assures me), and has been a great source of outdoor fun already!